Discussion in 'PS3 News' started by STLcardsWS, Jun 8, 2016. 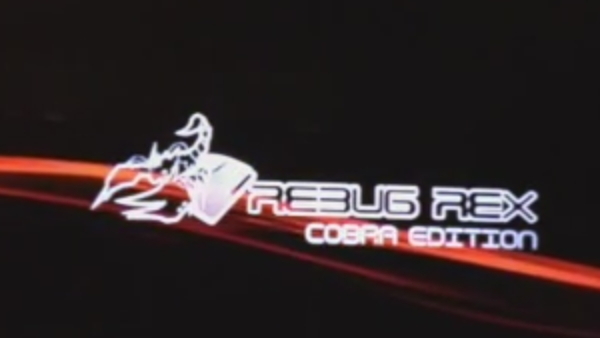 @0_obeWAN has been creating various PS3_Extra releases with various useful tools and shortcuts. In this release the inspiring developer who has been learning the ropes of the scene over the past several months has a new release called the "Coldboots Collection Disc" this ISO can be mounted by your favorite backup manager and then you have the ability to install coldboots right on XMB. Just simply view and choose, then from there follow the very simple instructions for install. Video Demo, Preview Pics along with additional details can be seen in the info provided below. Install press X and answer YES, wait to XMB return. Verzantgray, TheDemon, T.A.U and 4 others like this. Alot of functionality on the XMB these days. Verzantgray, T.A.U and STLcardsWS like this. Missed our PSX-Place one .. @pinky you have that one somewhere still ? yes, I do. the credit goes to @ermak86 , who made the original, though. I just made the coldboot smaller by removing his watermark. I think his moved either up to down or left to right. I modified the script to go from left to right, up to down, or forward to back. T.A.U, ermak86 and STLcardsWS like this. Verzantgray, ruroni, T.A.U and 2 others like this. easy static faf converter doesnt do fade in/out effect like original ps3 coldboot? afaik, it doesn't. fade-in/out is impossible with a colored coldboot anyway. colored coldboots r basically theme files. in fact, u can decompile a colored coldboot with p3t theme extractor. if u do try to do fade-in/out on a colored coldboot, the coldboot will come out as a garbled mess. I've tested it before. it won't soft-brick the system, but the coldboot will look really messed up. u could hex in the coldboot. my tutorials have the offsets for the coldboot images which r the same for all fade-in/out coldboots. edit: ...or I could do it for u. u'd need to make the image 700x350 with a solid black background. the text or image must be white or grey as well. colored coldboots do the same thing, because the alpha is what determines which parts of the image display. ... but isn't this like @bitsbubba 1.5 Installer thingy that changes the boots, sounds and waves right from the XMB? Using multiman just enable dev blind and change whatever you want, via its file manager, then disable write to dev blind and reboot using multiman's system restart... less than a minute you can change everything you want plus your files will always be in your ps and take up very little space. Right now mine with a bunch of sounds, waves and boots is only 50mb! or even FASTER ...go into rebug toolbox and using FTP make the changes via dev_rebug and reboot. hopefully some people might find this useful. Plus these methods allows you to obviously delete and or add anything you want to the 3 folders as you see fit. bitsbubba and 0_obeWAN like this. Visit/navigate in "Coldboots collection disc" folders to understand the contents structure. Drag and drop PNG file on executable Easy Static RAF Converter v1.0a.exe. You obtain a folder with in coldboot.raf and preview.png files. Go to \Tutorial ISO disc\Package contents\ and right click on "PS3EXTISO", select "MAKE PKG..."
citra mulia, Verzantgray, ruroni and 2 others like this. Nice iso, i have also downloaded the tutorial one with source, making one for myself but decided also to include P3T themes but i have a problem if someone could help. Also created the param.sfo inside THEMEDIR, but the iso only show the theme inside D000 folder, the other ones from D001 to D009 doesn't show up, what am i doing wrong? UPDATE: i think i find out what im doing wrong, devwiki is your friend lol. From the info that i read themes aren't all named DATA000.P3T, thats only on the first folder D000, for example on folder D001 the theme as to be named DATA001.P3T, is it this?